SMOKIN' OUR WAY THROUGH THE USA! The award-winning Trig’s Smokehouse brings a taste of the Wisconsin Northwoods right to your table. Producing more than 100 varieties of fresh and smoked sausages, hams, bacon and other fine meats, Trig’s Smokehouse in Rhinelander combines state of the art in-line smokers and only the finest hardwood chips for smoking to make award-winning, delicious and one of a kind products. 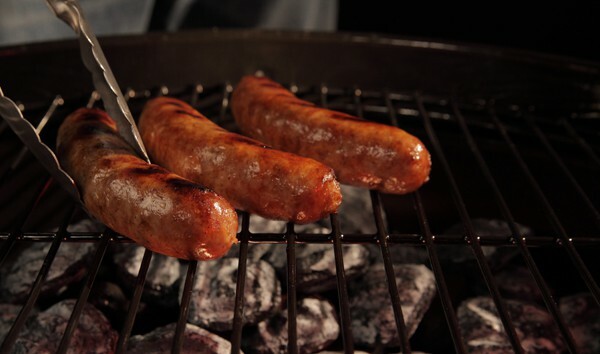 Trig’s Smokehouse Fresh Bratwurst was named World’s Best Bratwurst and Fan Favorite at the 2011 and 2010 World’s Best Brat Competitions in Watertown, WI. In addition, Trig’s World’s Best Brats were named the 2010 Grand Champion by the Wisconsin Association of Meat Processors (WAMP). Trig’s Smokehouse Smoked Hungarian Sausage was named Grand Champion and Trig’s Pizza Brat received an Honorable Mention by WAMP in 2011.